With its remarkable diversity of race, culture, language, education, immigration and economic status, the Bronx provides an especially rich environment and vibrant community. Nearly 1.4 million people from differing backgrounds and a melting pot of culture, nationalities and traditions, make this area one of New York's poorest boroughs and the first to have a majority of its population come from minorities. In fact, the Bronx is primarily African-American (32 percent) and Hispanic (34 percent). Wander through the Bronx and find parks, gardens, restaurants, bodegas and estates juxtaposed with apartment buildings. Montefiore Medical Center borders Van Cortland Park, the largest inland park in the city with riding stables, cricket, soccer fields, the nation's oldest public golf course and a complete marathon course within its borders. 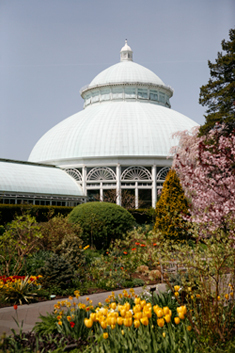 Just a short ride away from Montefiore are Orchard Beach, Yankee Stadium, the Bronx Zoo, the New York Botanical Gardens, Wave Hill in Riverdale (open to the public) and City Island, a small urban fishing village with access to boat rentals and a restaurant strip that offers some of New York's finest seafood. If you like a bit of culture, nearby Lehman College Center for the Performing Arts provides access to opera, concerts, theaters and dance. Less than 30 minutes away is Manhattan, Central Park, Wall Street, Chinatown, Times Square, Greenwich Village, Soho, Fifth Avenue, the elegant East Side which are best sampled by walking. Nearby Westchester County offers hiking, biking and cross-country trails and a short distance away is the Long Island Sound and its beaches.